This website is full of activities you can try, free resources you can sign up for, and activities you can buy. 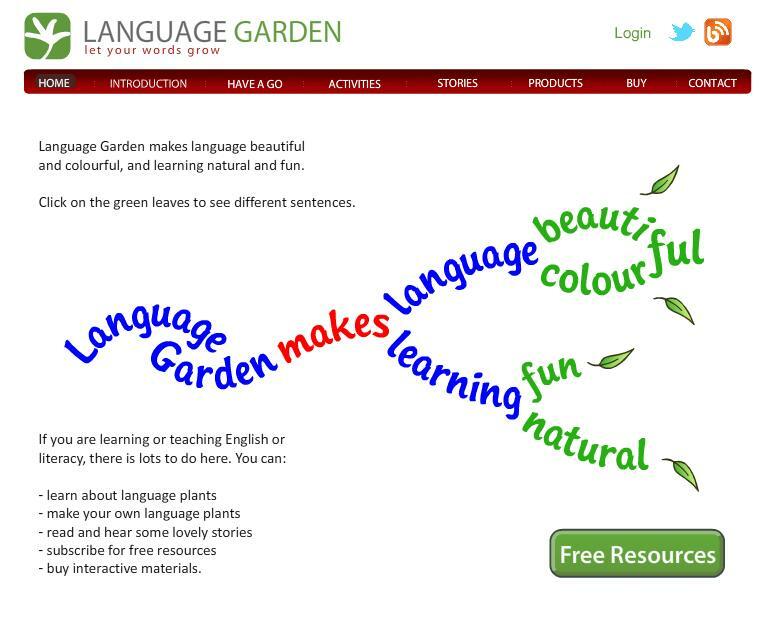 I just shared Language Garden through Facebook! I’ve got an update…it’s overwhelming!!! What should I do first, and what is next? Time….I should steal time. Nope, I need to devote time, give it time….I should start cultivating. Come harvest, I shall reap with pride; most of all, with gratitude for the privilige granted me by Language Garden! And thank you God for friends who trust!!! I have seen it, it’s wonderful! Make some more, PLEASE!!! I was all set to take part in your blog challenge with plant maker, and a phrasal verb activity… but no matter what I do I can’t load the plant maker. Every time I use Internet Explorer 9 it asks me to install Silverlight, which I have already installed, and Firefox isn’t any better. I tried on my ipad but no joy there either. Any suggestions?? ?